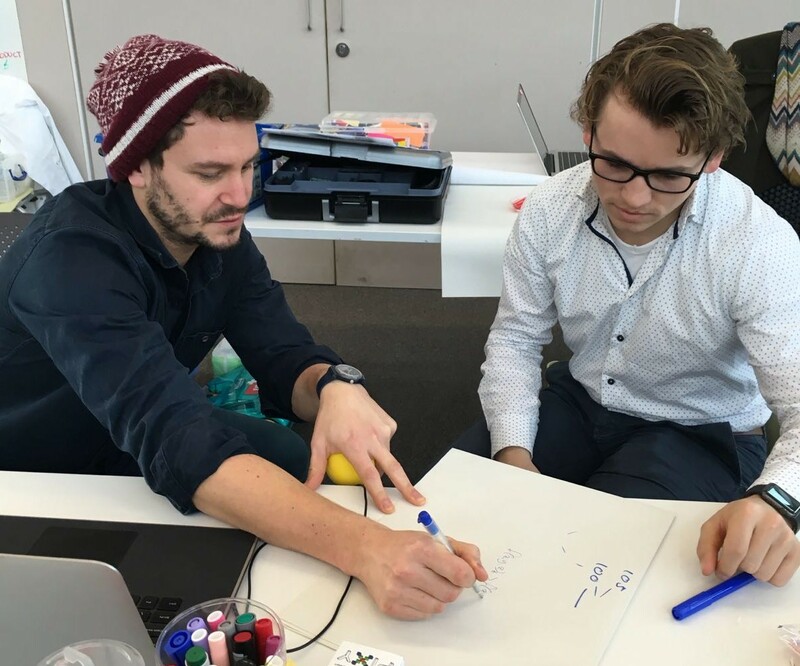 Last Friday afternoon our Centre for Competitive Creative Design (C4D) was one of three locations, on three different continents, playing host to designers, researchers, innovators and engineers who united to try and solve a circular economy challenge set by Philips and Cisco. The four teams at Cranfield were connected via an online hub to teams at Massachusetts Institute of Technology in the United States and the National Institute of Design in India. The question posed was: ‘How can connectivity enable users to help retain the value of products and close material loops?’ and teams were asked to brainstorm their ideas within the context of the circular economy. We had no pre-formed teams at Cranfield and the challenge was open to all so we had a diverse group of Cranfield MSc and PhD students; students from the Royal College of Art; independent practitioners; Folk Labs, a digital design agency; a consultant from the carbon trust; and the environmental lead from IKEA. After Kevin Shahbazi from Philips and Ken Webster, Head of Innovation at the Ellen MacArthur Foundation, introduced the challenge, we had a short, sharp ‘speed-dating’ exercise to match up like-minded individuals. We asked all the participants to share their views on their favourite books, which was a brilliant ice-breaker and gave us all a chance to get to know the people we’d be spending the next 48 hours with! Saturday morning came and it was crunch time. Pitches went really well and each of the teams had a clear topic to focus on, so the next phase of research and development began in earnest. Team LuSeMe begain talking to mums about their idea; Bookhakalaka went to a nursing home to test their concept with some elderly people and their carers; SmartEat sent out an online survery to better understand eating behaviours; and Mobious continued the development of their prototype. During Saturday all the teams across the three locations also had the opportunity to speak to the mentors: Ken Webster, Fiona Charnley, Kevin Shahbazi, and Jelle Tuinhout. There was an air of tension when we returned on Sunday – the 2pm deadline was looming and so the pressure was on to upload presentations and final pitch videos. The judges started arriving around 11am (which was a subtle reminder to everyone of the competitive aspect!) and included Maarten van der Kamp from Cranfield University School of Management; Phil Brown, Circular economy specialist from HSSMI; Glen Pascoe, design specialist; Fiona Charnley, lead on Circular Economy at Cranfield University; and Kevin Shahbazi, Strategic Design Consultant at Philips Design, Group Innovation. 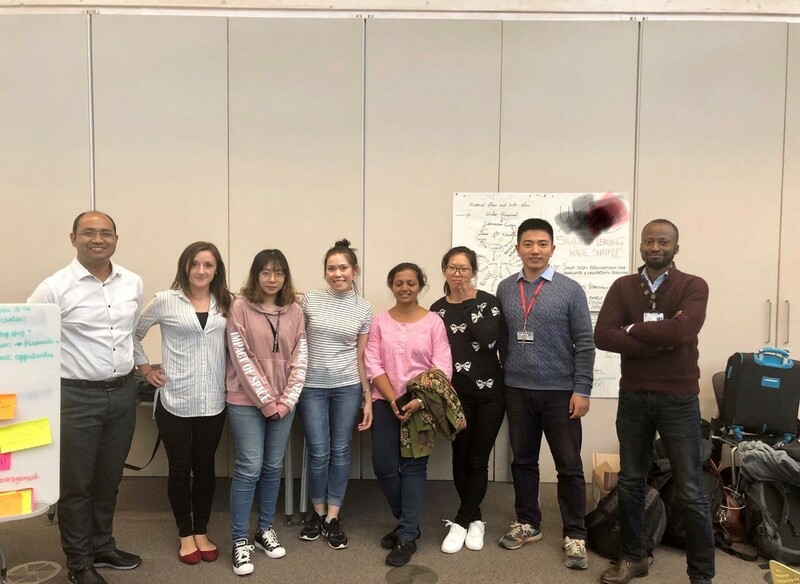 At 3pm on Sunday, after 48 hours of intensive innovation, ideas generation, design, research, prototyping and Mexican food, we started the presentations and three of the Cranfield teams proceeded to the second round on Tuesday 15 March. Yesterday an expert panel made up of Andrew Morlet, CEO of the Ellen MacArthur Foundation; Matt Smith Global Head of Market Development – IoT, Cisco; and Alberto Prado, Vice President, Head of Digital Innovation Philips Consumer Lifestyle, held the final round of judging and teams in each locations were awarded prizes from Philips and Cisco, with team Mobious from Cranfield winning the best idea from the whole hackathon – a great achievement (see their video below). They will now take part in the Disruptive Innovation Festival 2016. It was an amazing event to be part of and I am sure we will continue to make sure Cranfield are involved every year. 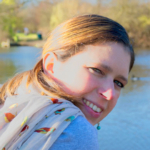 Dr Mariale Moreno is a research fellow at the RECODE Network at Cranfield University. In the past, she collaborated at the CIE-MAP Research Centre, an EUED inter-university research project between industry and academic partners looking at reducing materials and energy demand. Her work focuses on user-centred design, consumer behaviour, sustainable production and consumption, and business opportunities towards achieving a Circular Economy. She completed her PhD at Loughborough University on User-Centred Design and Sustainable Consumption. Prior to this she studied a Master's Degree in Design and Innovation for Sustainability at Cranfield. She has also collaborated at the Royal Society of Arts and the Helen Hamlyn Centre for Design on topics around behavioural change and sustainability.